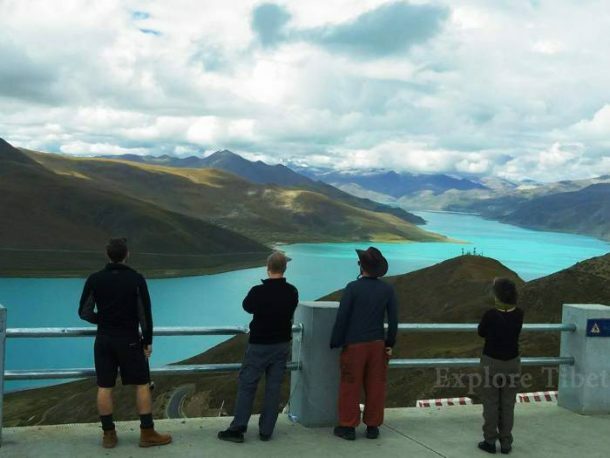 One of the most asked questions on the Tibet forums and travel sites is “Can I visit Tibet?” The simple answer is “Yes”, and it is surprisingly easy to arrange a trip to Tibet. Despite what you may read in news media around the world. Tibet has been a major tourist destination in Asia for many years. And while the rules around getting there may have changed a lot, general tourism in the region has only improved. It is one of the best destinations for adventure tours such as motorbike Tours, trekking and mountaineering. How easy is it to visit Tibet? Originally, when Tibet was opened to the western world for individual travel back in 1984/1985. The tourists could take a trip to Tibet easily. By making the journey to Lhasa with little more than a Chinese visa and a Tibet Travel Permit. A Royal Air Nepal was given permission to include a flight to Lhasa from Kathmandu in their schedule. In those days, the visa cost around US$6.50, and the permit to enter Tibet was just 40 cents. It could be obtained from every major city in China. Hitchhikers would ride in trucks on the roads from Qinghai and Chengdu. 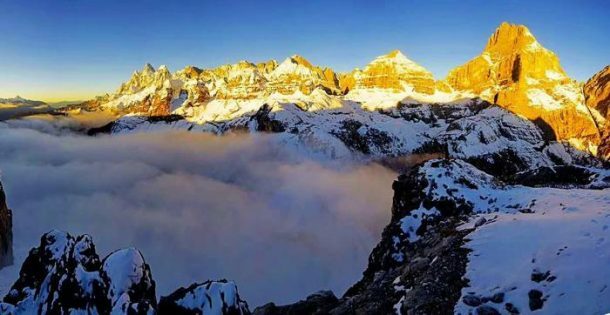 You have to spend weeks hiking around the stunning Tibetan plateau. Although times have changed, and the regulations have become a little stricter. But with many requirements for travelers to this awe-inspiring high-altitude region of China. But the ability to travel to Tibet for a vacation has not changed at all in the last 34 years. Tibet is still an open tourist destination (with the exception of February and March for the Losar festivities). But getting there is actually even easier now than it has ever been. Can I visit Tibet independently? Simply put, No, you cannot travel independently in Tibet anymore. However, that does not mean you cannot travel in Tibet, and as long as you are on a pre-booked tour, travel to Tibet is easy. All international tourists to Tibet are now required to be on an arranged tour, whether as a group or on a private tour, with a registered Tibetan tour operator. And this is where the simplicity and ease of getting to Tibe. Hence, the tour operators actually handle all of the permit applications and red tape for tourists traveling to Tibet. And all you really need to do yourself is get the Chinese Entry Visa (if you are entering Tibet from mainland China) and book the tour. The tour operators do all of the rest of the work for you. You can even book your train or flight tickets from your destination city in China or Nepal to Lhasa. What documents do I need to visit Tibet? The first thing you need is the Chinese Entry Visa, if you are entering from mainland China. If you are coming from Nepal, you do not need that. 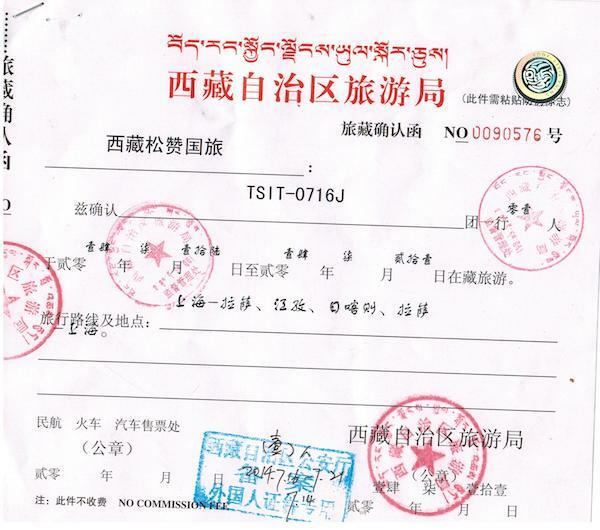 You will also need the Tibet Travel Permit, which the tour operator will apply for on your behalf, using a scanned copy of your passport, with visa if traveling from mainland China. Once the Tibet Travel Permit is approved, it will be forwarded to your hotel in China, ready for your trip by flight or train to Lhasa, the Tibetan capital. Once you arrive in Lhasa, your local guide will arrange the other permits you may need for traveling outside the area of Lhasa, such as the Alien’s Travel Permit for travel to Mount Everest in Shigatse, or the Military Permit if you are traveling to the sacred Mount Kailash in Ngari. If you are traveling from Kathmandu in Nepal, your tour operator will arrange all the necessary documents, from the Tibet Travel Permit and Alien’s Travel Permit, to the Frontier Pass and Military Permit (if needed), before you travel to Nepal. Once in Nepal, your agent will meet you to get your passport and make the application at the Chinese Embassy in Kathmandu for the Chinese Group Visa, which cannot be applied for personally. The application takes three working days, and the visa will be available on the afternoon of the third day after applying. Can I get a direct flight to Tibet? Yes, you can get direct flights to Tibet from several cities in mainland China, as well as from the Tribhuvan International Airport in Kathmandu. However, you will not be able to get a direct flight from anywhere else on the planet, as only Nepal has an allowance to provide international flights to Tibet. But what you can do is book the complete flight trip, from home to China or Nepal and visit Tibet, through one agent, though you will normally have an extended layover in either China or Nepal, due to visa or permit requirements, and in Nepal you will need to get a tourist visa for the duration of your stay. Transit allowance does not apply to foreign travelers heading for Tibet through Tribhuvan International Airport. Can I drive to Tibet? Unless you have a Chinese driving license, the easy answer to this is no. Only a Chinese citizen with a Chinese driving license can drive a vehicle in China. And all international driving licenses are invalid in the country. You can book a driving tour to Tibet with some agencies, who will provide the driver/guide for the trip, and drive you from China to Lhasa. However, as of this time, the only one of the four road routes to Tibet that is open to foreign travelers is the Qinghai Tibet highway, from Xining in northwest China’s Qinghai Province. It is an easy way to visit Tibet by road. Is Tibet safe for foreign travelers? Despite inaccurate news reports of violence and dangerous riots in the western press, Tibet is one of the safest countries in the world to visit. Crime is minimal in Tibet, and rarely heard of against foreign tourists, as Tibetans are generally a very friendly people, with a big interest in protecting their tourist industry. 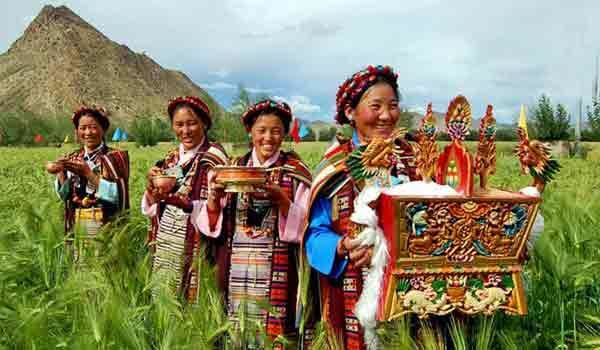 Almost all Tibetans will greet you warmly, as long as you respect their culture and traditions. Moreover, your tour in Tibet will be with a driver and guide at all times when traveling around the city and the region, though you can wander around the city of Lhasa without your guide, as long as you stay within the city limits. Lhasa is a delightful and friendly city, where you can find peace and tranquility, souvenirs and great shopping, mysticism and devotion, or just a decent cup of sweet Tibetan tea and a good chat with the locals. Traveling to Tibet has never been safer, easier, or more convenient. So, if there was ever a time to book that once-in-a-lifetime trip to the Roof of the World, that time is now!